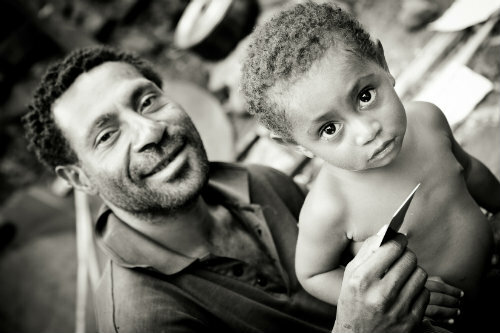 It all started with an instant photograph amidst a bustling village in Papua New Guinea. Photographer Tasmin Brown and her husband, Dan, were riding a bus across the Highlands when they noticed two dog-eared photos of the driver’s children, carefully tucked into his center console. The pictures were a way to stay connected to his children, he explained, while he was away from home for months at a time. 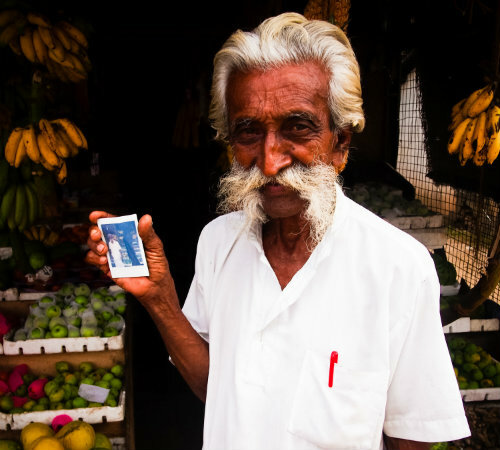 Before parting ways, Tasmin snapped an instant photo of the driver for his children. The driver was so grateful for the small gift, Tasmin decided to repeat the process with other locals in nearby villages. As she walked through the markets, Tasmin used her Instax to take family portraits—mothers and children, fathers with newborn babies—and gave away the prints as keepsakes. 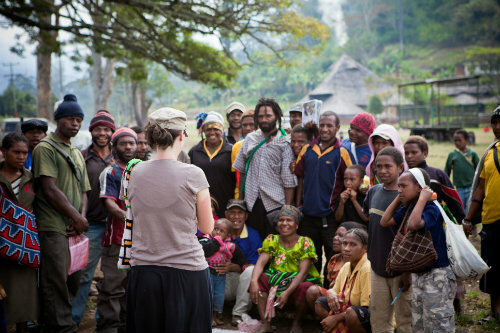 As the photos developed in their hands, the villagers faces lit up with joy as the photos. People beckoned over their friends to share in the moment, and some even became emotional. “People were getting choked up over one picture,” Tasmin says. “And I have 3,000 pictures from that trip.” In our digital society, we have the capability to snap a picture at any given moment. We’ve become accustomed to regular snapshots with our loved ones. 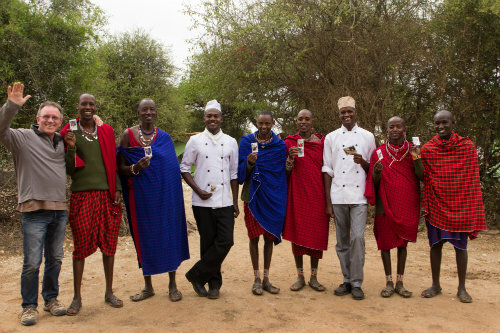 But, in more remote regions of the world, photos are a commodity. Back at their home in Australia, Tasmin and Dan couldn’t stop thinking about the villagers they met and the moving reactions to the photos. That’s when they came up with the idea to marry travel and photography in a whole new way. What if, instead of simply taking photos for their own use, photographers gifted photos to the locals in the areas they visited? Tasmin and Dan immediately began hashing out their new project, which they named Portrait Equality. The concept was simple. They would loan cameras to adventurous photographers travelling to developing countries and remote locations across the globe. Artists were free to snap away with one caveat: they must provide photos to the locals. In terms of a camera, Tasmin had two primary requirements: the camera needed to be instant and the film needed to be durable. So, Tasmin chose Instax. It wasn’t long before word spread across the photography world. Amateur shutterbugs with a penchant for travel flocked to Portrait Equality, eager to use their passion for the greater good. As expected, there is no shortage of beautiful stories. For example, while exploring India, photographer Gabby Secomb-Flegg met a young woman and her one-month-old daughter in Jodhpur. Gabby learned the woman’s father-in-law hadn’t met the newest member of the family. Cultural rules prevented the man, a widower, from being around the new child until the father returned home from working out of town. So, in order to provide the baby’s grandfather with a glimpse of his new grandchild, Gabby captured all three generations of the family—the woman, her mother and her newborn daughter—in an instant portrait for him. It’s been more than four years since the trip that inspired Portrait Equality. The organisation has been to 30 countries and, like Gabby’s experience in Jodhpur, and Tasmin’s experience in Papua New Guinea, each photographer returns home with with a deluge of touching tales. The project has expanded into the United States, held numerous exhibitions and continues to grow with each new adventure. A passion project, Tasmin says she and Dan have vowed to keep the program going as long as possible. Interested in documenting your own travel experiences with Instax? Check out the portable and fun Instax Mini 8.